Photos from West Shore RCMP. Even police cat “Penny” made an appearance. On April 13th 2019 hundreds of West Shore and Victoria community members participated in the Sarah Beckett Memorial run. Over 900 people registered for this event, of that about 500 were local runners and the rest registered for the virtual run. The event took place at Belmont High School. “In true island weather, it was raining but that didn’t stop us,” said Cst. Nancy Saggar, the West Shore RCMP Media Liaison Officer. 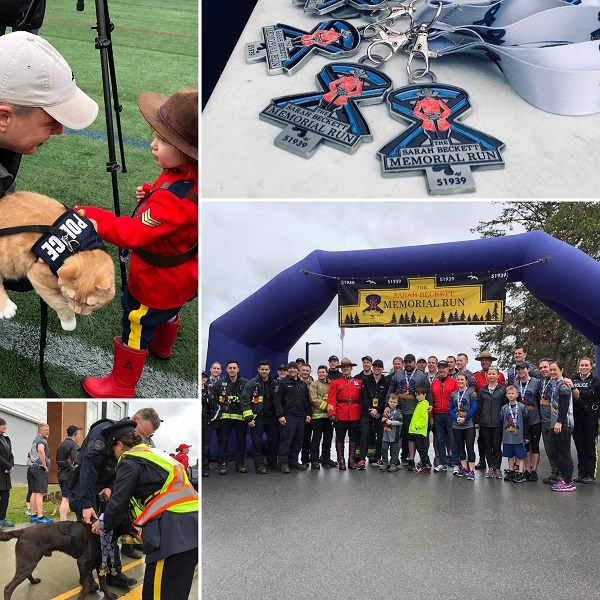 “We want to thank all of the Sarah Beckett Memorial Run organizers and volunteers as well as the City of Langford and Langford Fire Department for all the hard work. This event was organized by friends and family of Cst. Sarah Beckett along with numerous community volunteers. They deserve a big round of applause! 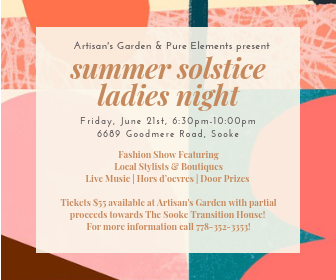 The proceeds go to the Constable Sarah Beckett Memorial Scholarship sponsored by the Capital Regional District Traffic Safety Commission.